Kelly Ferguson inspires many to live a fit lifestyle with her encouraging words and enthusiastic personality. 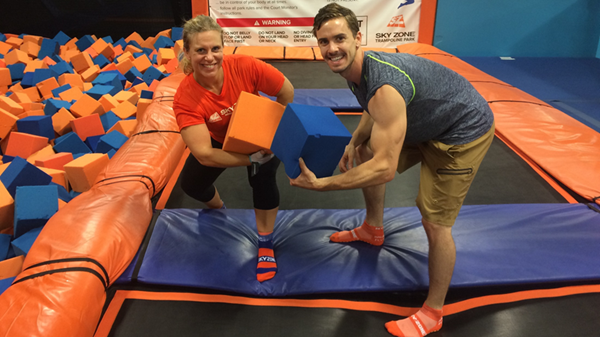 The Fitness Warrior mentor teaches bootcamp classes at American Family Fitness and Sky Zone. Her Facebook MID Bootcamp group has 315 members who are inspired by her on a daily basis through images and words. She decided to join the Fitness Warriors program as a mentor because she believes that her passion for fitness and teaching was directly cultivated by the mentors along her own journey. “I was taught to allow my passion to lead my class and to learn as much as possible from the experts around me. I believe the journey we experience in our own workouts directly parallels our life’s journey. We are given obstacles that we must choose to either walk away from or overcome. None of us get to where we are alone whether we are working out or living life. We have either been helped or directly inspired by someone and that is what I believe is so powerful about my classes. We are NEVER giving up because we are NEVER doing it alone,” said Kelly when asked why mentoring is important for her. Her small frame is overflowing with kindness and concern for others. 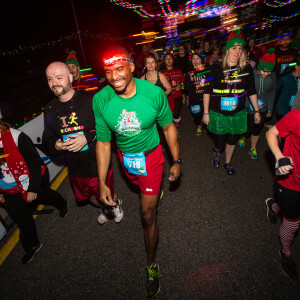 For Kelly, the holidays are a special oppo rtunity to incorporate fitness and good deeds. This Christmas season, Kelly’s bootcampers participated in the Kindness Project. Kelly had individual kindness cards printed for her class participants to take and leave for persons they chose to do random acts of kindness for. She is compiling a list of all the completed acts of kindness that she will post in her Facebook group page. It takes a special person to inspire others to give their all in fitness and in life. She is such an amazing person and I’m truly thankful she is my mentor. 1. 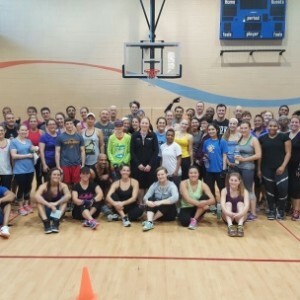 Join Kelly for one of her holiday boot camp events. Request to become a member of her Facebook group! 2. Use the time you have with your family and friends over the holidays to get a group together to start training for the Ukrop’s Monument Avenue 10k! The YMCA training teams officially kick off on January 30th but you may as well get a head start! 3. Share a healthy meal with those that you love. 4. With the weather being unseasonably warm, take a walk with your family after your holiday meal! 5. 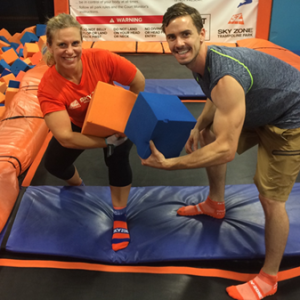 Come check out one of our Fitness Warriors classes – they are FREE so you can bring the whole family! For Kelly, and many of the other Fitness Warrior mentors, fitness is a way of life. But that isn’t the case for everyone. So this holiday season I challenge you to be an inspiration to others and share your passion for fitness with those that you love.